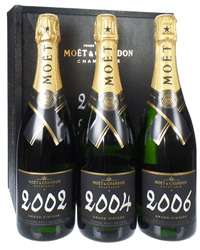 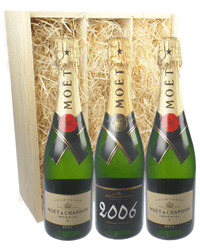 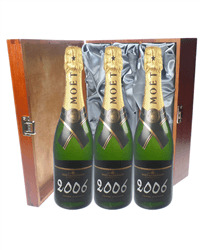 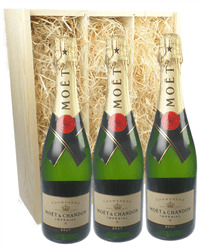 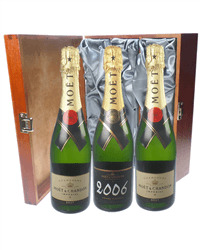 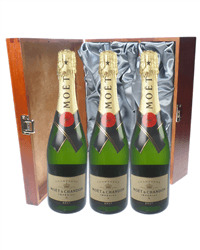 Moet is one of the biggest names in Champagne and as Champagne makes a great gift whatever the occasion why not celebrate in style with a gift from our selection of three bottle Moet & Chandon Champagne gifts. 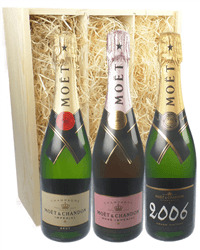 Choose from Rose, Non Vintage, Vintage or any combination of the three. 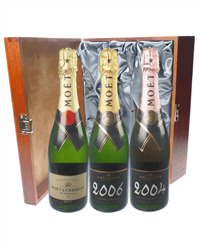 Order online or by phone and we will deliver your gift beautifully presented with your personal gift message.